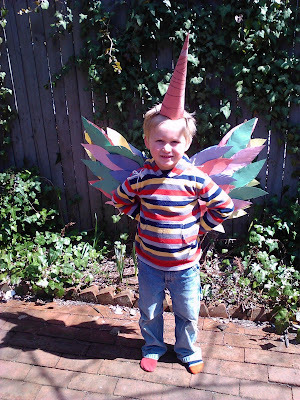 P's off to a friend's birthday party today, and the party has a theme: mythical creatures. Can anyone (maybe a cousin?) 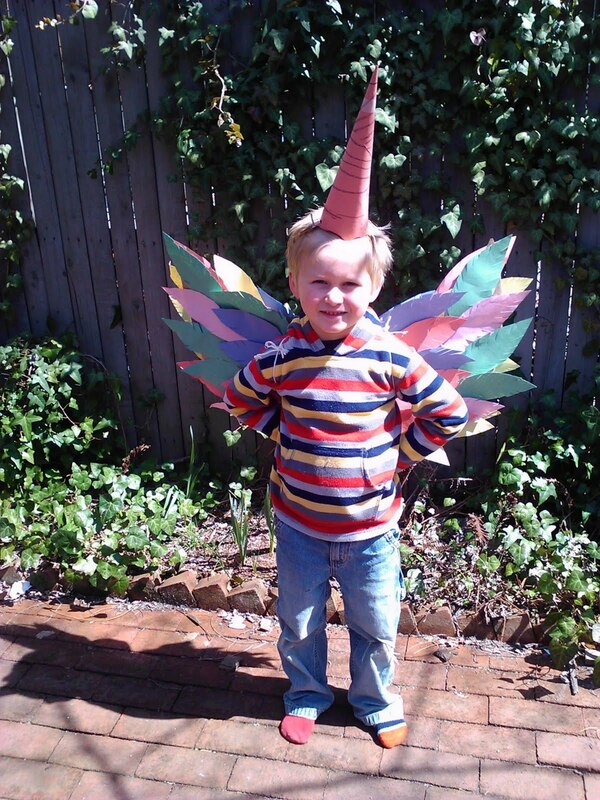 guess what mythical creature he's going dressed as?